Tap the Menu icon (upper-left) then tap Data Hub. From the Overview tab, view the total data used for the account. 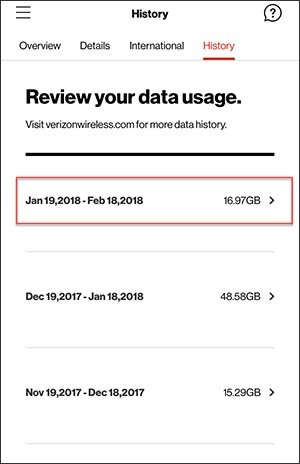 Alternatively, the total data used for the account can be viewed on the front page (located at the top) after opening the My Verizon app. Tap the Details tab (located at the top). Usage for each line on the account displays. 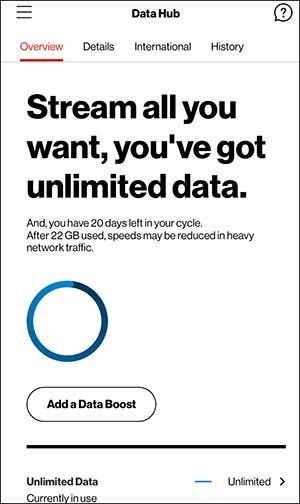 Tap an individual line to see how the unbilled data is being used. Image below is an example and usage types (Social Apps, video, etc.) may vary. The usage displays below the name of the plan. Tap on an individual line to view the details (may require scrolling). 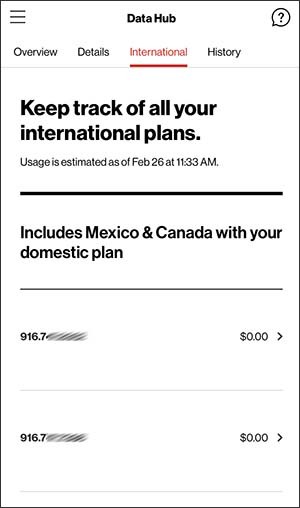 If no International plan exists, one can be added by tapping the Continue button. (This launches the website in a browser where an International plan can be added). 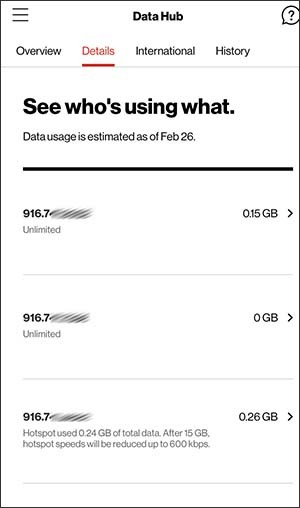 From the Overview tab, scroll down to view the different available types of data and how much of each is remaining for the current month. Below is an example of Carryover Data. Depending on the plan, the data types available may vary. 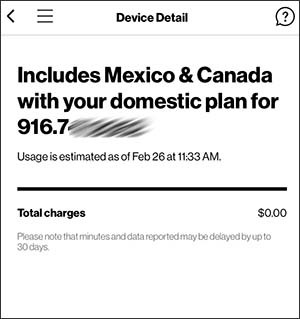 Tap the International tab then view usage info. 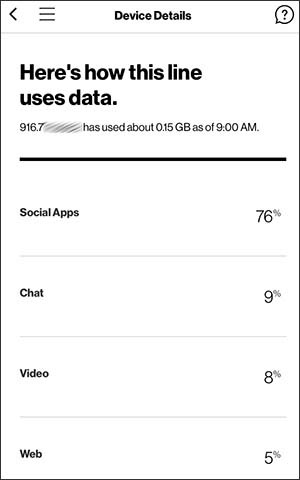 Tap a mobile number to view usage details. 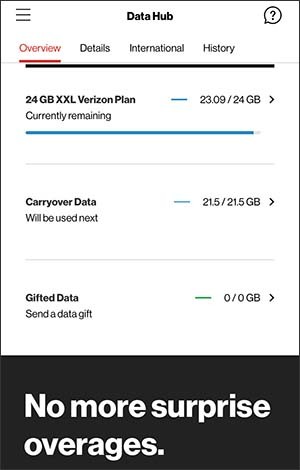 Tap the History tab then tap any bill cycle to view the usage history and usage types. Listed in order of highest percentage usage (e.g., Video, Web, Navigation, etc. ).